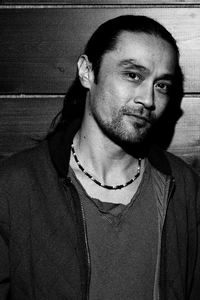 Producer and Engineer, Russell Elevado is widely recognized for the sound on D’Angelo’s “Voodoo” album which earned them both a Grammy Award in 2000. His use of vintage recording equipment and analogue tape gave the album an “old school” sound but with a modern approach inspired by hip hop and sampling. In the same period he mixed albums for some of Pop, R&B and Hip Hop’s most influential artists and producers of that era like Erykah Badu, Jay Z, Bilal, Common, Rick Rubin and Jay Dilla to name a few. and was the man who mixed the hugely successful debut single “Fallen” for superstar Alicia Keys. His work with ?uestlove and the Roots is also very notable, pushing the limits of organic hip hop and creative mixing. And in 2009, he was nominated for Best Engineered Album (non classical) for his recording of Al Green’s “Lay it Down”. Elevado has recently completed D'Angelo's third album "Black Messiah" which was 15 years in the making. "No plug ins or digital processing was used" is written in the liner notes.